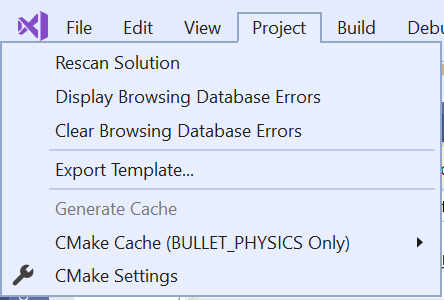 Visual Studio typically manages all the details of CMake for you, under the hood, when you open a project. However, some development workflows require more fine-grained control over how CMake is invoked. We have made a bunch of improvements to Visual Studio’s CMake support in the latest preview of the IDE. Many of these changes are taking the first steps to close the gap between working with solutions generated by CMake and the IDE’s native support. This post was written by Olga Arkhipova. Many big codebases use so-called unity (jumbo) builds where many source files are included in one or a few ‘unity’ files for compilation, which makes compiling and linking much faster. Visual Studio 2017 15.8 Preview 3 is now available and it includes several improvements to the CMake tools. In addition to a few fixes we have simplified the way you can configure your CMakeSettings.json file by adding configuration templates. Visual Studio 2017 15.7 Preview 4 is now available and we have added a few more CMake features in addition to the Targets View and single file compilation added in Preview 3. Visual Studio 2017 15.7 Preview 3 is now available, which includes several improvements to the CMake tools. The latest preview offers more control than ever over how to visualize, build, and manage your CMake projects. We are excited to announce new CMake features in Visual Studio 2017 version 15.6 Preview 2. In the latest preview, we have improved CTest’s integration with the IDE, including rich support for the Google and Boost unit testing frameworks. Today’s preview of Visual Studio 2017 version 15.6 Preview 2 includes two IntelliSense improvements to streamline code editing for C++ Open Folder and CMake. We added a new type of IntelliSense squiggle to C++ Open Folder and CMake to streamline cross-platform development. 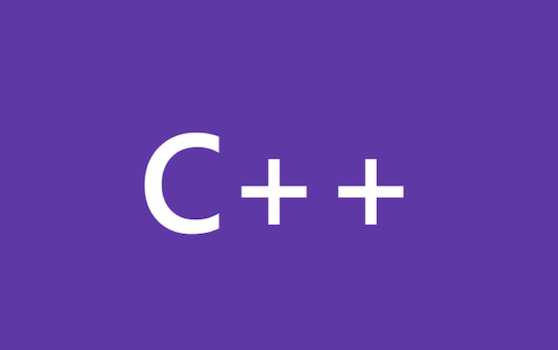 Ever since we shipped support for opening a folder of C++ code, the community has been asking for more control over their build and editing environments. To achieve this, we have added new ways to customize your environment with CppProperties.json in the latest version of Visual Studio 2017. 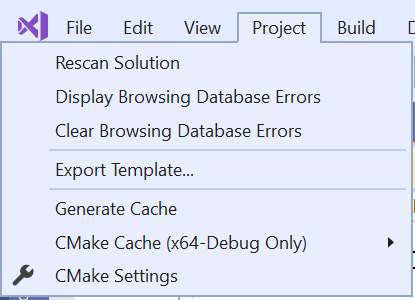 Configuring a CMake project to build in just the way you want can often be a time intensive process, so in Visual Studio 2017 15.5 preview we have made it easier than ever to import your existing CMake projects and cache configurations into the IDE.